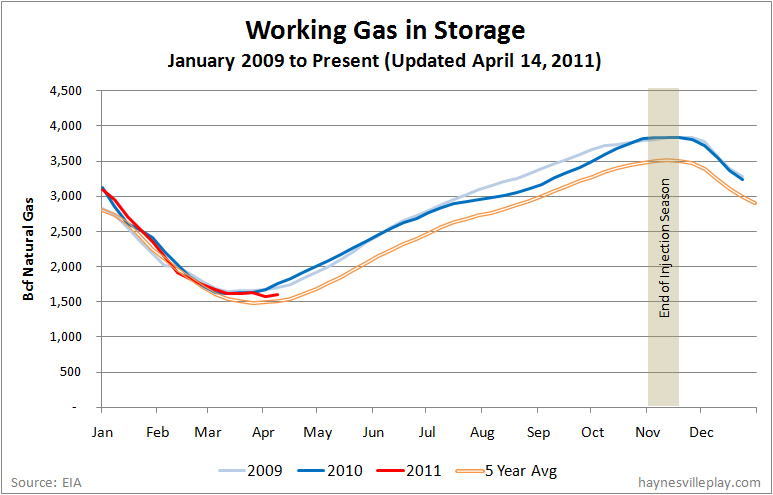 The weekly EIA working gas in storage report showed a 28 Bcf increase, bringing the U.S. storage level to 1.607 Tcf. The weekly injection was exactly the same as the five year average and 51 Bcf lower than last year. 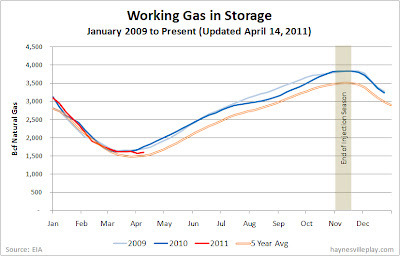 The current storage level is 10 Bcf, or 0.6%, higher than the five year average (1.597 Tcf) but 137 Bcf, or 7.9%, lower than last year (1.744 Tcf). Temperatures last week averaged 51.3 degrees, which is 1.6 degrees warmer than average but 7.3 degrees cooler than the same week last year, helping explain the big difference in the comparable net injection. Frac Focus - Better Late than Never?